WORZALLA sales representative Rick Hanaway received a holiday newsletter from our customer, LifeReloaded Specialty Publishing in Lancaster, Pennsylvania. 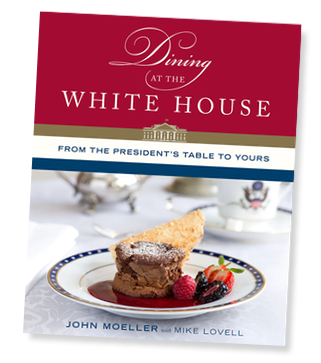 Their title, Dining at the White House – From the President’s Table to Yours by Chef John Moeller, was printed and bound at WORZALLA. LifeReloaded creates jobs in America by only printing in the USA, something that we heartily applaud at 100% employee-owned WORZALLA of Stevens Point, Wisconsin, USA! Check out their article — Creating Jobs in America — featuring photos of the WORZALLA facility. Dining at the White House-From the President’s Table to Yours was launched on September 24, 2013. The response has been overwhelmingly positive. In early December it reached #1 best seller in category on Amazon. A second printing arrived in the warehouse this week. The recipe section is particularly popular. Each recipe is one that Chef John personally created and served at the White House. In each case, the recipe is accompanied by the menu card which shows when and to whom this meal was served. Many people have told LifeReloaded that they are planning to recreate the 2004 White House Holiday dinner for their own families and friends this season. Every project at LifeReloaded Specialty Publishing is an All American Production, and has been since our beginning in 2004. This includes the creation of eBooks and printing of traditional books. We work with a network of associates across the country who provide services for editing, design, web services, graphics and artwork, printing, photography, shipping and warehousing etc. The production of just this one book-Dining At The White House-created more than one full year of paid jobs for our associates. It’s more than a book . . . it’s YOUR book. Come to a printer who understands. 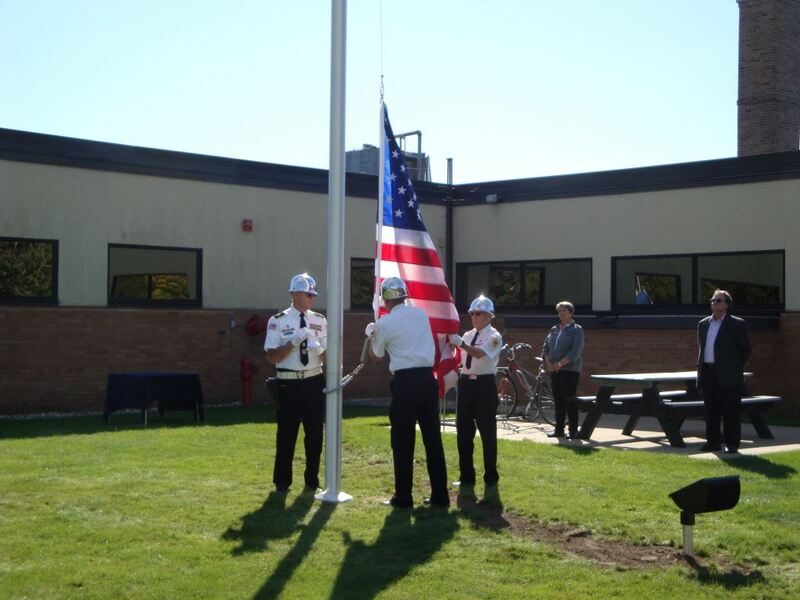 A 35-foot flagpole was recently erected on the northeast lawn of WORZALLA’s headquarters on Jefferson Street in Stevens Point, Wisconsin. WORZALLA associates are proud to be flying the Star Spangled Banner above our facility. The suggestion to install a flagpole was made by Carolyne Hovel, from our Prepress Department. She participated in the ceremony, carrying the flag to the honor guard. She stated that her father — a WWII Navy veteran — had always flown a flag, and she will remember him when she catches sight of the flag when coming to work.